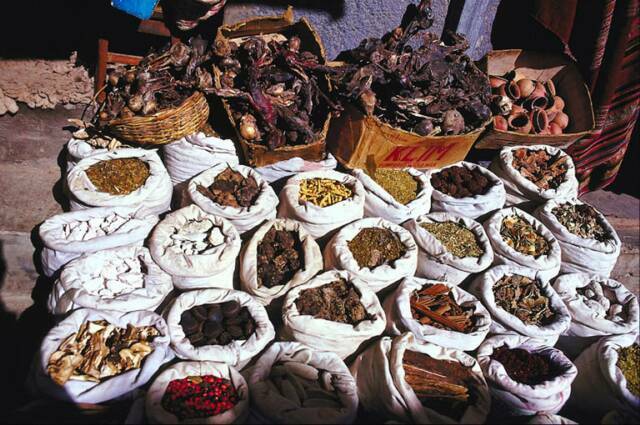 Herbs have been relied upon for the healing of ailments for thousands of years. The focus of herbalism is to support the body's self healing ability. Herbs nourish us physically, mentally, emotionally, and spiritually. When we take herbs the essence enters the acupuncture meridian and adjusts the vital flow of energy in the body. Herbs are strong foods, so by eating them we enrich ourselves with a vast array of nutrients. The energetic classification of herbs is a science which has been refined over the last 3000 years. Today, we see further refinement due to the changing profile of disease. 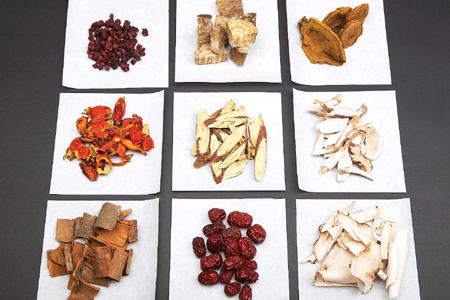 (960-1279 A.D.), a physician named Tang Shen Wei increased the Materia Medica to 1746 substances. By 1590 A.D. the most comprehensive medical book named Grand Materia Medica-(Ben Cao Gang Mu) was compiled by Li Shi Zhen. With over 52 volumes, and 30 years over research,it includes 1892 substances with over 100 illustrations and 10,000 prescriptions Today the Materia Medica is being further refined by clinical and scientific data. Most of the research is being done in China. 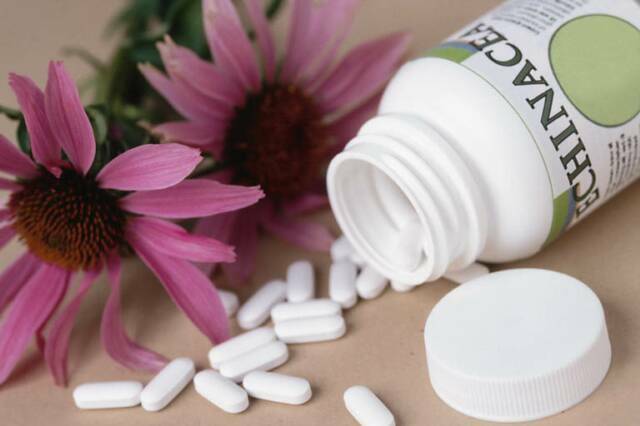 Each herb is listed with the properties, acupuncture meridian entered, functions, clinical use, major combinations, dosage,and pharmacological research-such as antimicrobial effect, antiviral effect, antifungal effect, effect on blood pressure, effect on smooth muscle, endocrine effect, central nervous system effect, use in gynecology, etc. The following is a list of the QUALITIES of herbs. The four energies are Hot, Cold, Warm, and Cool. There is also a neutral category. For illness with a cool nature the formula will be warm. For disorders with a hot nature the formula will be cold etc. The five tastes are sour, bitter, pungent, sweet, and salty. Sour is astringent and herbs in this category consolidate Qi and secretions. Sour herbs nourish the Liver and GallbladderBitter Herbs are drying, detoxifying, antibiotic, and drain Qi downward. Bitter herbs strengthen the Heart and Small Intestine Sweet herbs are tonic, nourishing, relaxing, and slow Qi down. Sweet herbs harmonize the Spleen and Stomach Pungent herbs stimulate, warm, raise Qi from the interior to the exterior. Pungent herbs strengthen the Lungs and Large Intestine. As the knowledge of single herbs increased, physicians refined herbology by combining herbs in formulas. This art can only be accomplished after one knows extensively the properties of the single herbs. 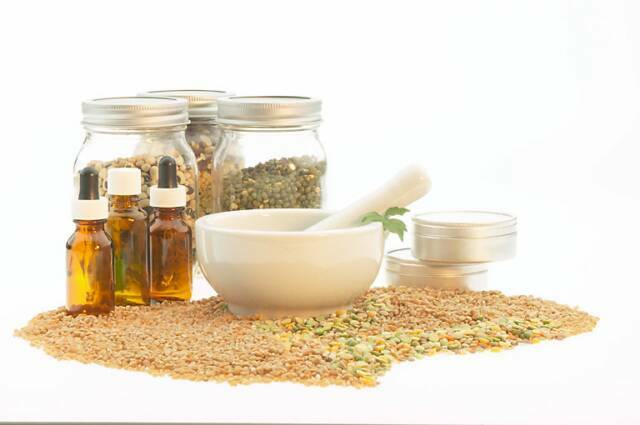 When herbs are combined, the synergy inhances the scope of the therapeutic effect.